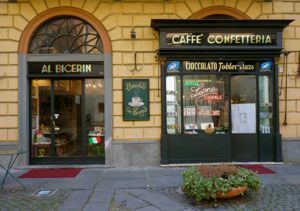 There is no author or writer who stayed in Turin and has not praised these places full of charm and atmosphere, whose confectionery preparations have continued for centuries to delight customers. Tursin is worldwide famous for its historical cafès, home of animated political discussion that helped define the unitary ideals of nineteenth-century Italy. Turin Coffee Break will guide you along a walk to discover these unique places, included among the Historic Places of Italy, to know the stories and the famous customers that have enjoyed them. You will appreciate the historical furnishings, the decorations, the atmosphere, but above alll you will discover some curiosities and background on the birth of the best known local confectionery products. 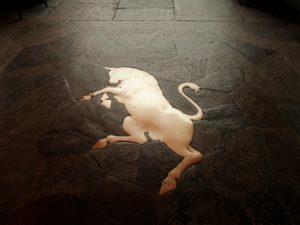 At the end of the tour, included in the price, you will enjoy the symbolic drink of the city of Savoy: the Bicerin! The tour departs from Piazza Carlo Alberto, in the very heart of the city, in front of the Royal Library. 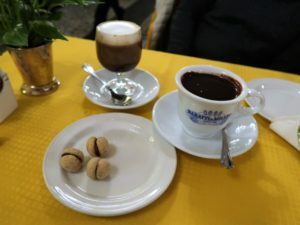 The guide will show and tell you the stories behind each and every historical cafeterias that are still working since centuries as well as the background that originated the most traditional confectionery products such as the world famous Bicerin that is included in the tour. From Via Po, you will then head to Piazza Castello and into the majestic Galleria Subaplina, futher into the city center to Piazza San Carlo where the tour will end after two hours of amazing discoveries. 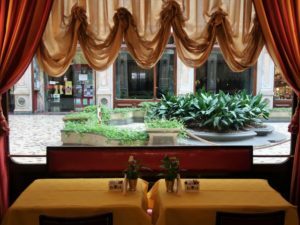 Once in Piazza San Carlo, a tasting of the traditional Bicerin will be offered to all participants inside one of the most attractive cafeterias.